We hold within us the power to restore and revitalize our mind, body, and heart through this ancient practice of deep relaxation. May the following teachings nourish us physically, energetically, mentally and emotionally so that we may rest in the seat of our highest self, accessing our intuitive wisdom, peace, and unconditional joy. Yoga nidra, also known as conscious sleep practice, is one of the deepest possible states of relaxation while still maintaining awareness. The practice revitalizes and restores the body and mind, helps normalize irregular sleep patterns, reduces stress and anxiety, improves memory, nurtures the nervous system, and increases overall wellbeing. Find a comfortable place to lay down, where you can rest undisturbed. 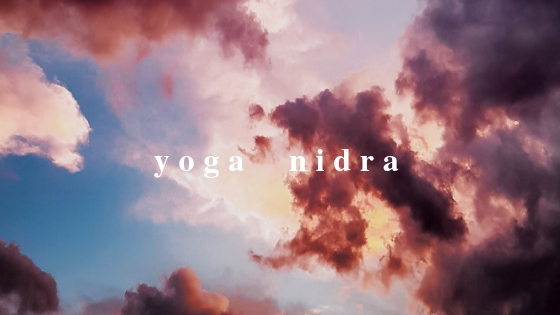 Listen to the guided yoga nidra meditation. If you have any questions or comments please feel free to reach out to me. Thank you so much for your presence, you are a gift to this world.